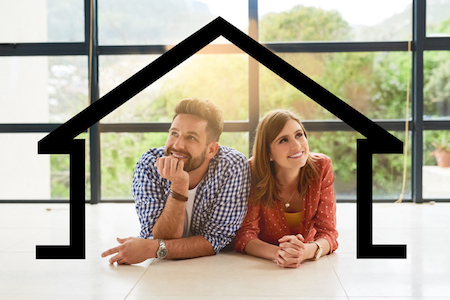 Co-owning a property—for example, owning in partnership with a friend, family member or other acquaintance—is gaining popularity among Canadians. Rising purchase prices have encouraged this, but the truth is, co-owning an investment property has many benefits. Not only do you have other people to share responsibilities and upkeep with, but splitting the costs makes investing in real estate a much more attainable goal for some people. What is your end goal? There is more than one way to make money from an income property, but you both need to be on the same page in terms of strategy. Some people opt to renovate and sell in a relatively short timeframe, effectively “flipping” their home. Others might consider renting it out long-term. Both have their benefits, but the key is determining early on what your strategy will be so there is no confusion. Divide responsibilities and time commitments fairly. Whether you’re acting as a landlord or not, properties come with day-to-day responsibilities, whether that’s mowing the lawn, collecting rent checks or changing lightbulbs. You should decide early on who will be responsible for what and when. If no one has the time or inclination for these duties, you also have the option of hiring a property manager. Create a business agreement. There’s no better way to make sure you’re on the same page as your business partners than to put it in writing. Even if you’re co-owning with friends or family, having a joint agreement detailing everyone’s responsibilities can be a good way to stay organized too. It’s a great idea to write out each person’s financial contributions, share of profits, day-to-day maintenance duties, tenant responsibilities (if any) and an exit strategy, should someone decide to end the partnership. Having this written in detail can save a lot of frustrations down the road. Co-owning can be a great way to break into the housing or income property market. Just be sure to think it through beforehand to make the process as smooth as possible for everyone involved.